Victory Belt Publishing, 9781628602630, 336pp. 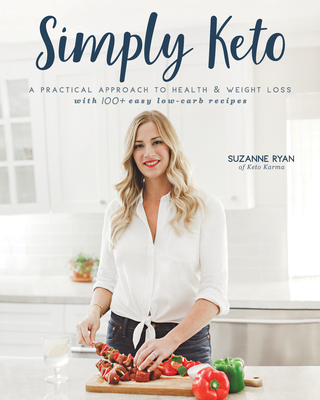 Suzanne Ryan discovered the ketogenic diet in January 2015, and it completely changed her life. When she started keto, Suzanne weighed 289 pounds, and her energy level and self-esteem were at an all-time low. She felt tired, sick, and frustrated by her inability to stick to a healthy diet. After just one year, she had lost 100 pounds and developed a new mind-set surrounding food. Suzanne is currently down 120 pounds, and she’s passionate about helping others find the same success.